With over 500 restaurants in a 5.5 mile radius – how do you choose which Huntsville restaurants to dine at? 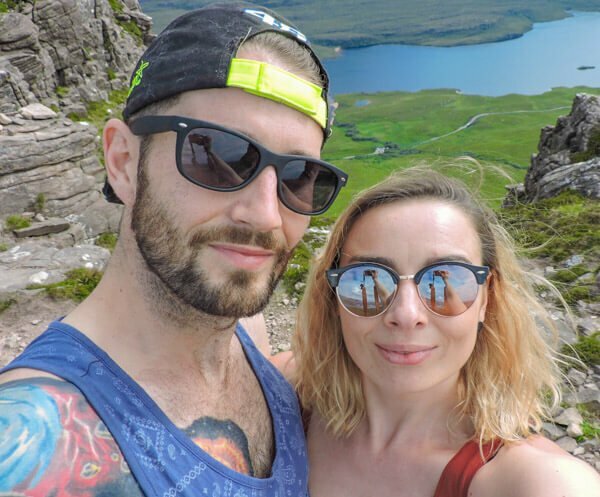 From casual to character, BBQ to board games, here’s our (Gemma and Craig, two Scots who love to travel) guide to the best places to eat in Huntsville, Al. We don’t just spill where to eat but also share what to eat. Be prepared to be Alabama fed! 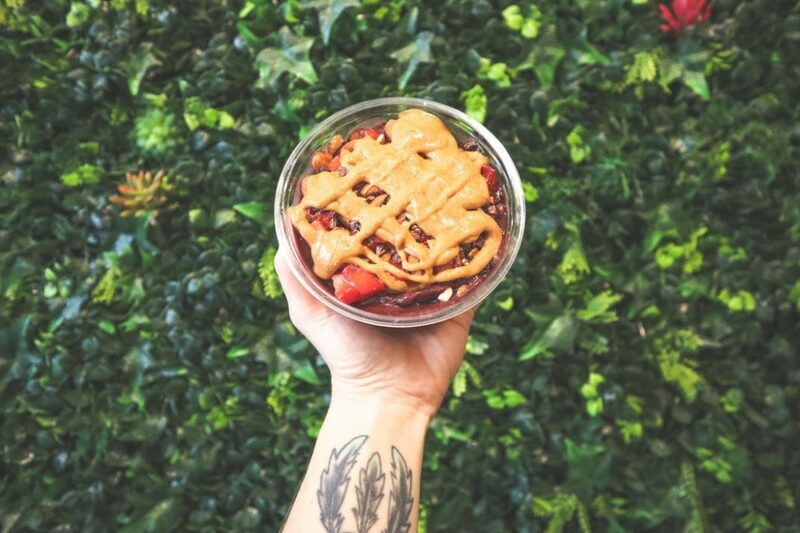 Starting with the most important meal of the day, check out Honest Coffee Roasters acai bowl for breakfast. What on earth (be prepared lots of rocket based references, this is Huntsville after all) is an acai bowl I hear you say? That was my first thought too. This light breakfast delight is a Pinterest perfect bowl of berries, banana, nuts, and peanut butter if you want it. 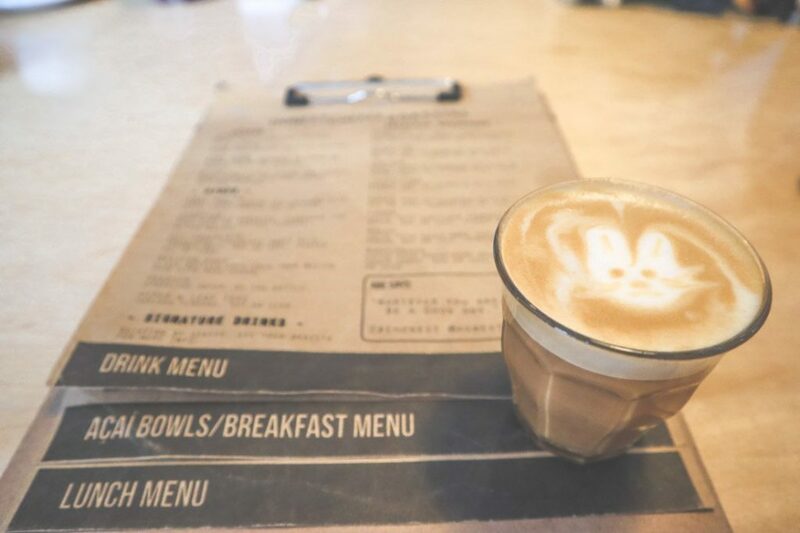 You may have guessed from the name but Honest Coffee also does damn fine Americano, espresso and even a Sarsaparilla drip coffee with root beer syrup. It also serves local speciality tea by Piper and Leaf for non-coffee drinkers (hot and cold). Food and drinks are available to sit in and also take away. This is the hot spot for locals looking set up an office outside of their normal workplaces. Address: 114 Clinton Ave E #106. What’s nearby? The Clinton Row Color Walk is an outside corridor of street art murals by some well known Alabama artists such as Jessie Andrews. Blue Plate Cafe is a Huntsville institution, so be prepared to see gossip over grits and business deals over biscuits. Don’t be fooled by the large diner-like restaurant; it is often hard to get a table at the Blue Plate Cafe. 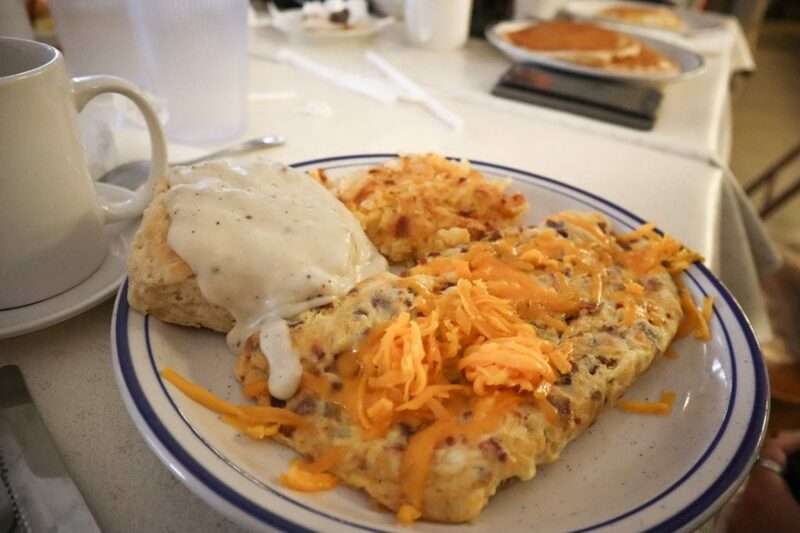 Expect all the Southern breakfast goodness of omelettes, tater tots, and gravy. Be sure to check out the vintage photos on the walls; look out for the Big Spring Park baptism. Try the cheesy hash browns. Address: 3210 Governors Dr SW or 7540 Memorial Pkwy SW.
What’s nearby? Governors Dr -U.S. Space & Rocket Center. The sign on the door states ‘we don’t do fast food’. 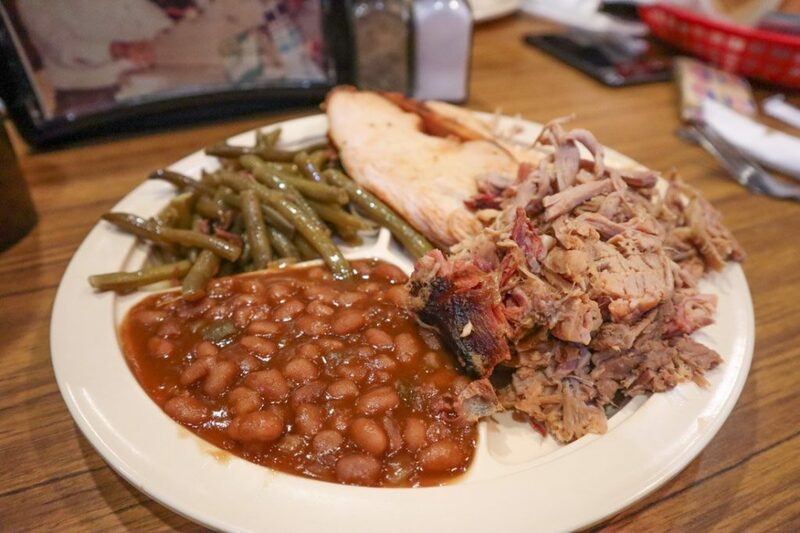 G’s Country Kitchen offers wholesome Alabama meat and two (or three) side orders served on plastic trays. Choose from chicken, catfish or burgers and add two or three sides. There are some vegetable side options such as green beans, collard greens, potato salad and corn as well as a variety of beans, including pinto and black-eyed. Alternatively, skip the veg for mac n cheese, hush puppies (fried corn) and cornbread. One of the best restaurants in Huntsville, Al to experience how locals dine. Expect customers of all ages and creeds and don’t miss the pie. Address: 2501 Oakwood Ave NW #5. What’s nearby? U.S. Space & Rocket Center. In this Huntsville café, you are encouraged to play with your food! Choose a main like The Punisher dog (choose any topping, and they mean anything from the menu, no request denied) or quesadilla. Mains come with a side – and they are whacky! Four commercial machines have been ruined in the past four years making those mac and cheese waffles! Warning; the portions are massive! ‘We don’t stop when we’re full, we stop when we are ashamed’ the owner tells us. 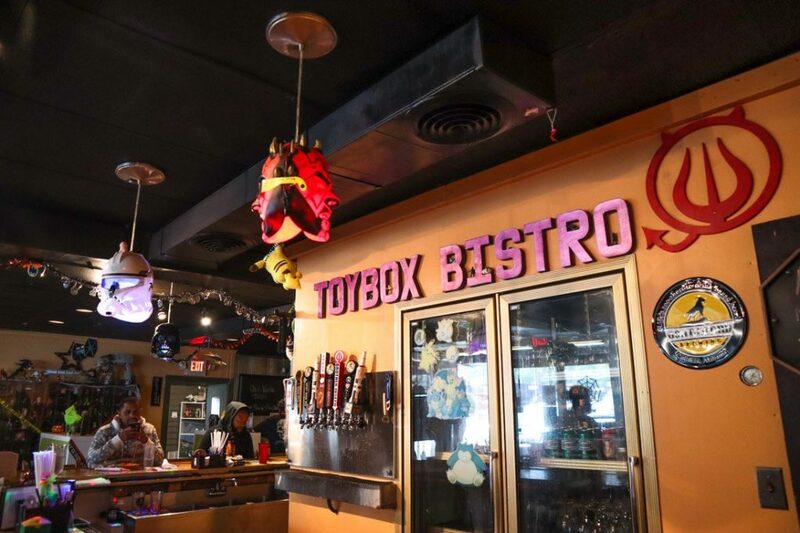 This is a family run restaurant, one of the chefs is the daughter, another is her partner and the toys above were collected by the owner’s late husband. Been before? Doesn’t matter, there are two new specials every single day. The chefs are encouraged to play with your food too! Fun fact, the location has always been a restaurant and von Braun used to eat breakfast on this corner. Try the loaded potato salad side. Address: 511 Jordan Ln NW. Nearby: U.S. Space & Rocket Center, Huntsville Botanical Gardens. 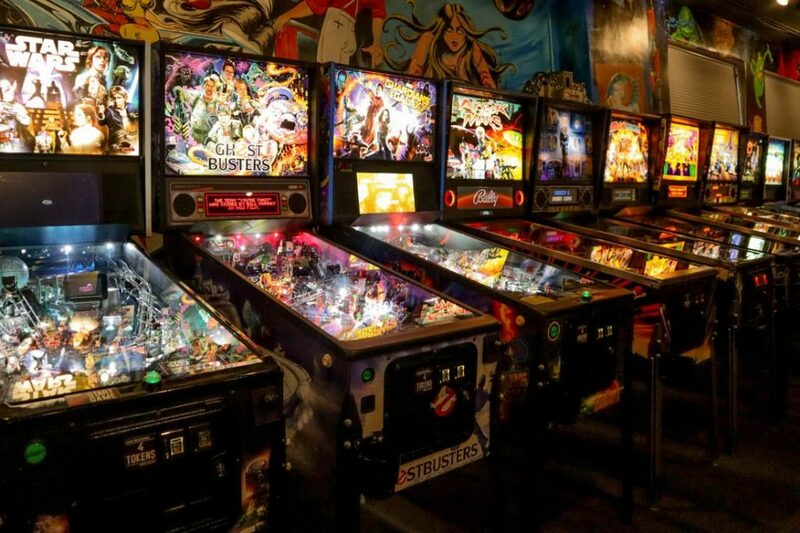 With a name like Pints and Pixels, you can really expect two things: beer and vintage computer games. This top floor popular spot serves Anaheim Chlli meals in between games of Mortal Kombat, Mario Kart, and Pacman. There is also a cute rooftop space for hot (or cooler if we’re talking about Alabama) afternoons. Address: 3, 115 Clinton Ave East. Nearby: walk off the calories through Huntsville’s historical houses at Twickenham. 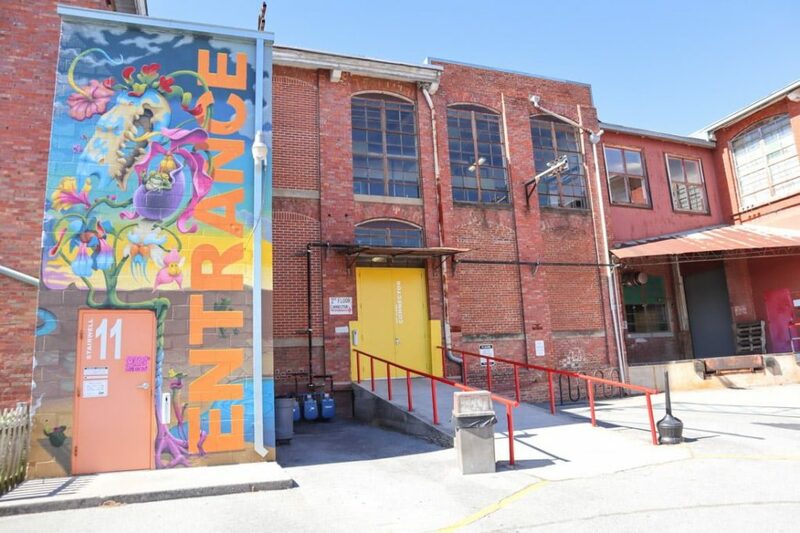 Lowe Mill is not just a food stop, this ex-mill building is home to a collection of open art studios, theatre and makers’ space. Swing by to meet some of the Huntsville heroes such as Chris Wade (specialises in space-related art), Danny Davis from Tangled String Studios, the retired NASA engineer who builds stringed instruments using the same science principles of physics as he did at NASA and the lovely Ann Vann, who offers intricate illustrations (you can also see a Vann door mural at Clinton Row Color Walk). Grab a Piper and Leaf tea before browsing the art space then spend half an hour deciding what to pick from the Happy Tummy menu while laughing at the pun-tastic options (sandwiches, noodle dishes, etc). Pick up some Pizzelle chocolates as a gift, for yourself. Try the birthday cake tea. Address: 2211 Seminole Dr SW. 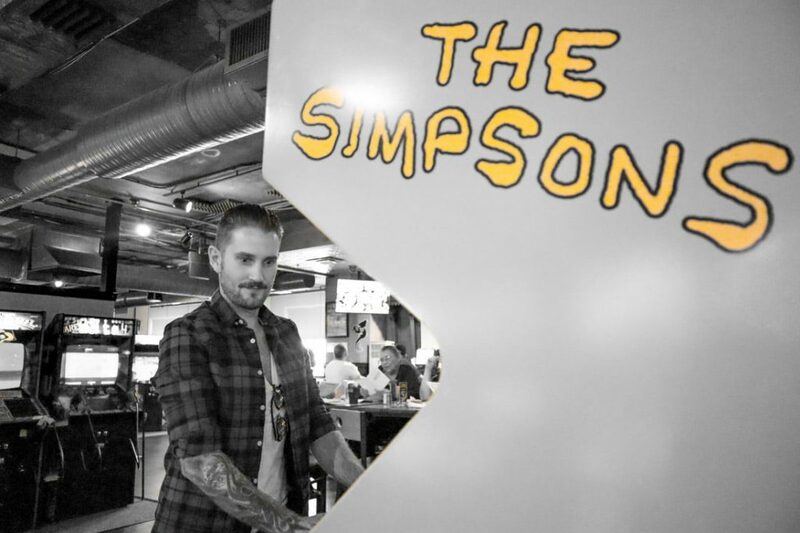 Looking to combine dinner, drinks and axe throwing? Look no further than converted high school, Campus 805. The building retains many of the old school features such as classrooms, lockers and basketball hoops. There are two breweries on the premises, Yellow Hammer and Straight to Ale and the pizzeria, Earth and Stone. Leave room for the boozy ice cream, Bourbon Butter Pecan and Irish Coffee or alcohol-free carrot cake gelato! Try the seasonal sweet potato and goat cheese pizza. Address: 2620 Clinton Ave West. All aboard the Blue Bayou! 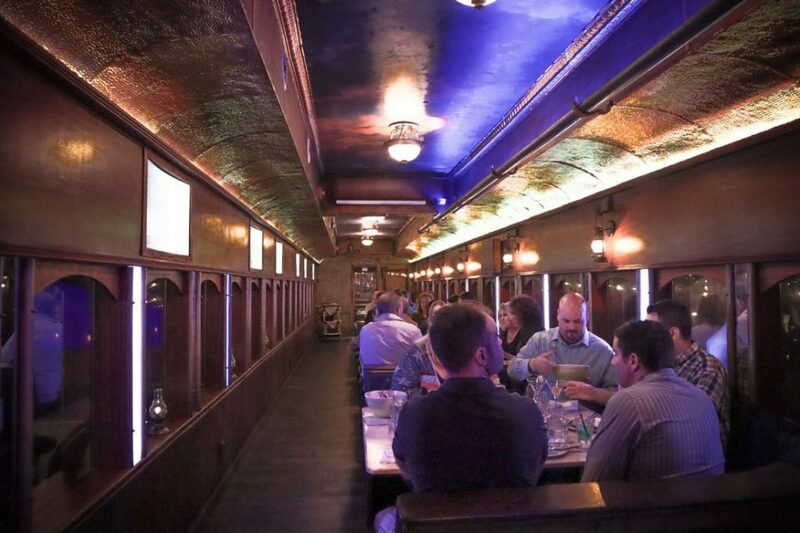 This stationary train serves up themed meals depending on your destination. The owner, Doug Smith, is a self-proclaimed hoarder and it shows. This unique destination dining experience in Huntsville is a social one. Three meals are served ‘homestyle’ with platters and bowls placed on the middle of the train cabin table for groups to plate themselves. We dined with a local couple who taught us about the new local baseball team, the Trash Panda. Don’t be mislead by the novelty, the hands behind the home-style meals are the city’s legendary Chef Ruth Mercado who has recently returned from Portland to take up the town’s new challenge of themed dining on the Blue Bayou. After dinner, nip next door for live music (Smith is an award-winning music producer), let me know if you spot the ‘piano bar’ and don’t miss (you can’t miss) the 20-foot jukebox outside. Address: 108 Cleveland Ave NW. Nearby: Big Spring Park East for ‘The Grotto’ lights. No trip to Huntsville (or surrounding area) would be complete without a trip to a BBQ joint. Big Bob Gibson’s BBQ based at Decatur has more awards than sauces! Their meat is super succulent and is served on a plastic tray with sides. Can’t decide between the chicken, pork or turkey? You don’t have to with the mixed platter option. Don’t forget the championship sauce. Refillable drinks are also on offer as well as puddings. One of the best places in Huntsville to eat BBQ. Try the lemon icebox pudding. Address: 1715 6th Ave SE or 2520 Danville Rd SW (closed Sunday). One of the top restaurants in Huntsville has to be Commerce Kitchen. Looking for something a little more upmarket (but still Huntsville casual?) check out the Commerce Kitchen for ‘normal’ sized plates and a sophisticated menu of grill, skewers and fish. Beer, wine and cocktails also available. Try the green fried tomatoes. Space-related drink: Straight to Ale’s Monkeynaut. Address: 300 Franklin St SE. 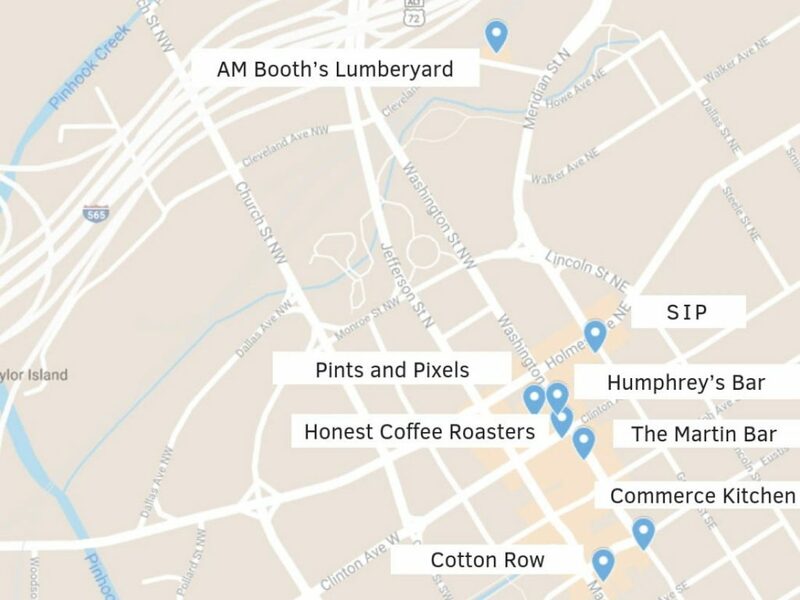 Nearby: Alan Shepherd footprints, Huntsville Ghost Walk and the Harrison Brothers Hardware – Alabama’s longest running hardware store and art gallery. Note: another fine dining in Huntsville option is USA Today’s ‘Best Southern Fine Dining’ at Cotton Row (100 Southside Square). Playing host and looking for fine dining catering.? We had the privilege of eating Chupper Time Catering soup, salad and home-style platter at the Huntsville Arts Museum (al fresco, the most romantic meal I’ve had!) 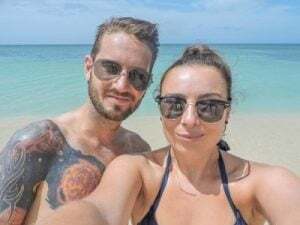 Chef Brandon Crosby and his wife Casey are the loveliest of couples, you might actually recognise Crosby as he’s been on TV (Food Network ‘Cook vs. Cons’)! Chupper Time Catering can be spotted around town at food events like the Healthworks Farmers Market too. There is no denying that there are special types of food you should try in the South and much of, but not all, is fried. 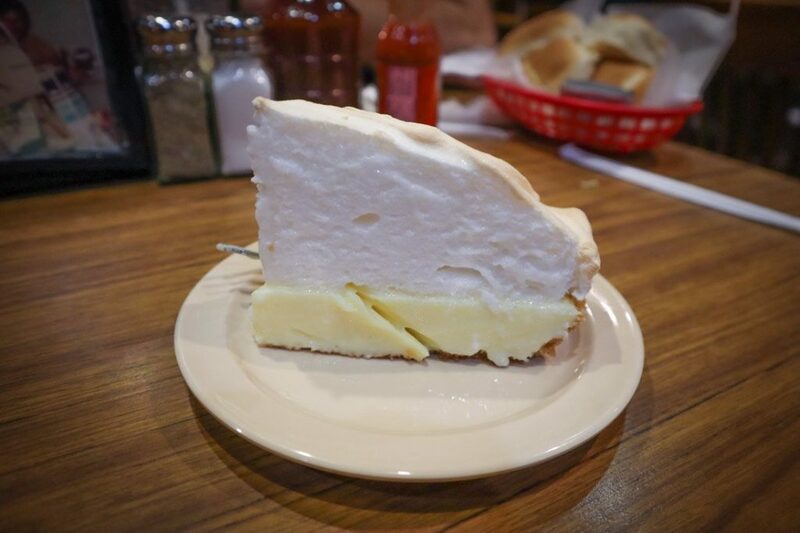 Here’s a bucket list of the best food in Huntsville, Al. Let me know in the comments if you’ve tried them and what I’ve missed. Short on time and staying central? 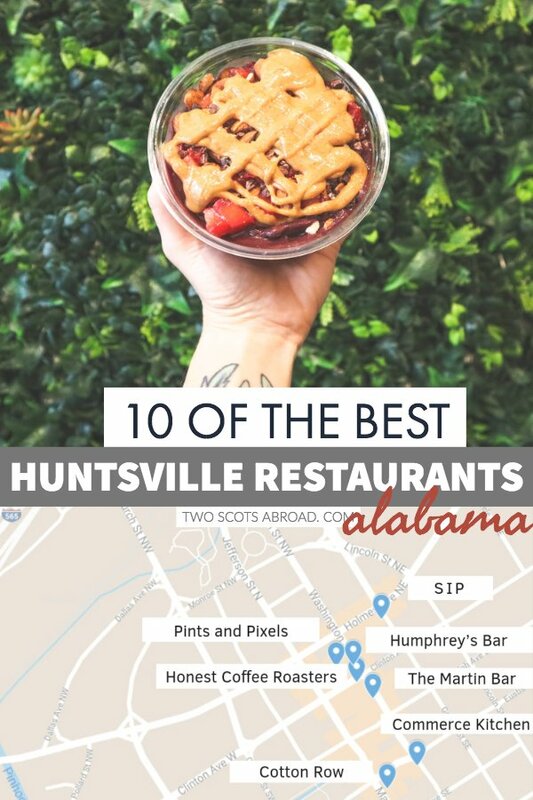 Here’s the list of restaurants Downtown Huntsville not to miss and a map to help you get your bearings! Click here for the map. Here’s advice on how to dine on fewer dollars in Huntsville. Honestly, everyone is happy in the Huntsville serving industry, it’s the Southern hospitality way but what makes a customer even happier? Cheap drink! Let’s look at the happy hour options. There’s no dedicated, daily ‘happy hour’ at Blue Pants Brewery, however, there are daily specials. On Tuesdays all beers are half-price and on Wednesdays, you can get social with $12 pitchers. Slide into the weekend with $5 cocktails all night on Fridays then close the week with $1 off growler and growler fills on Sundays. SIP is an up-market cocktail and wine bar that offers affordable happy hour options most days of the week (4-8pm Monday-Thursday). On Mondays, you can enjoy half price whisky, bourbon and scotch. Tuesday sees half-price tequila and rum, this includes some cocktails like the SIP Margarita. Wednesday is for the wine lovers – half-price bottles and half-price glasses if the bottle is already open. Thursdays is when the Prohibition and classic cocktails such as Old Fashioneds are half price. Finally, on Sundays, it’s obviously half-priced Bloody Mary day. Can you hear cheering and whooping in Downtown Huntsville? Yeah, that’s from The Martin. This casual bar caters for sports lovers and the massive open upstairs is great for those who feel the heat. Happy hour starts at 5pm from Tuesday through to Saturday. Remember you can saunter while you sip in the Art and Entertainment District every Thursday-Sunday; just ask the bar for a purple cup. 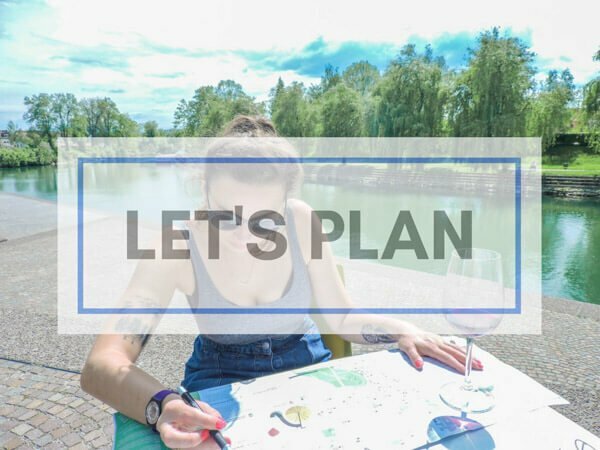 Don’t miss the interactive street art while you wander. Looking for some food on the fly? From dogs to doughnuts Huntsville’s got you covered. Click this link to see the full line up and where to find them. Did you know that the Drury Inn & Suites offers a free drink every day for every customer (at 17:30) and dinner snacks? I am still surprised at this and think it’s a great option for visitors on a budget, especially families. The Drury Inn also provides hot and cold breakfast, access to a fitness suite, pool and rocket facing rooms. 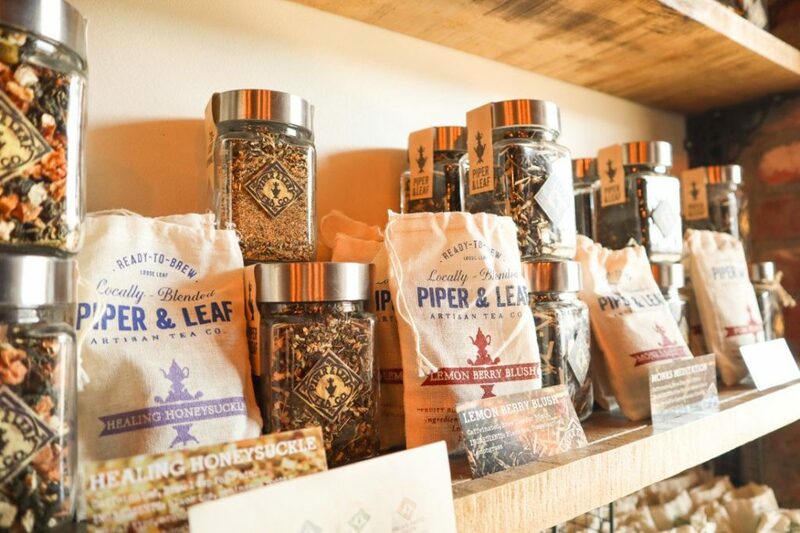 Piper and Leaf tea have a loyalty card for chai addicts, collect stamps and get a free tea. Also if you buy and refuse their mason jars, you get money off your purchase. Saving the environment and money. For 10 days in August, Huntsville Restaurant Week celebrates its culinary scene in Madison County with special menus and the chance to win some foodie goodies! Over 50 restaurants participate so there really is something for everyone who wants to support local. 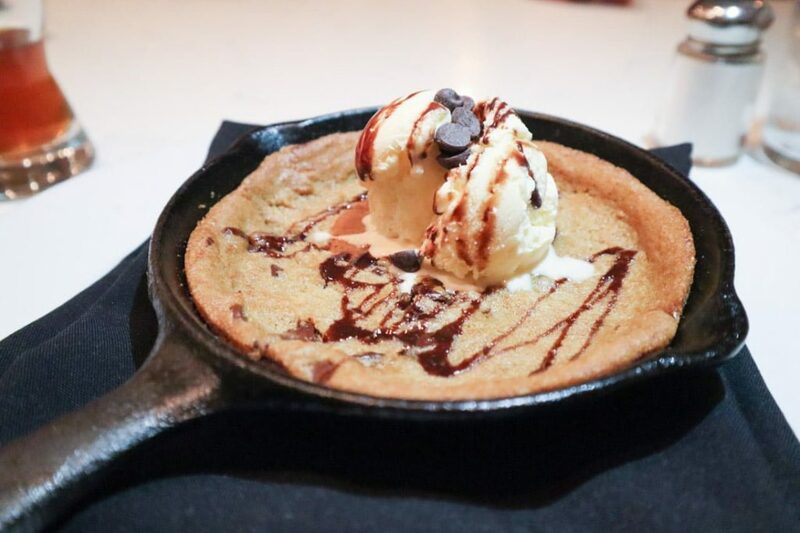 Deals include set prices for lunch and dinner and ‘Bonus Bites’ at restaurants that offer breakfast and snacks. Don’t miss the 10 days of deals! 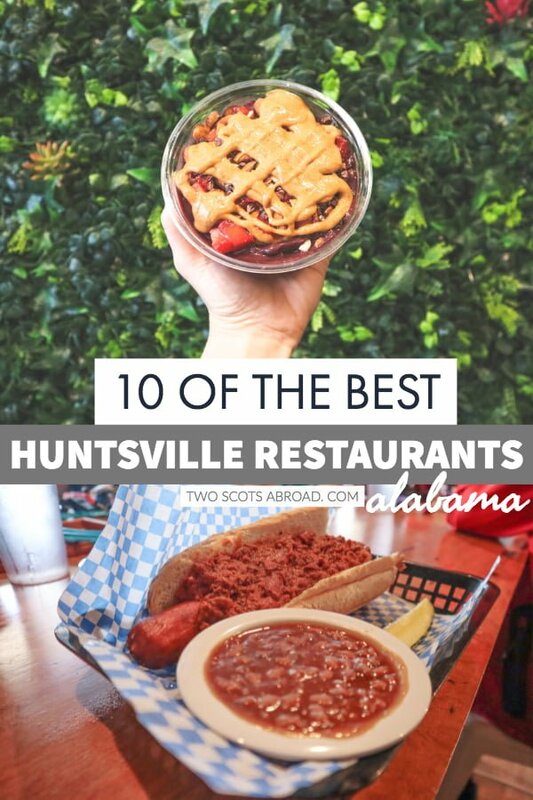 So whether you are visiting Huntsville as a tourist or a local looking for a new dining experience this guide will ensure you are never short of places to eat in Huntsville, Al. From trucks to tater tots, fine dining to experiential culinary events – Huntsville’s food and drink scene is as hot as an August day (luckily there is cold beer and crafty ice cream)! Like it? Pin it to your Alabama board! our honest opinions as always. Yeah… You chose some of the worst in Huntsville…. What’s the best in your opinion, doesn’t matter? Correction: In Alabama, mac and cheese IS a vegetable. 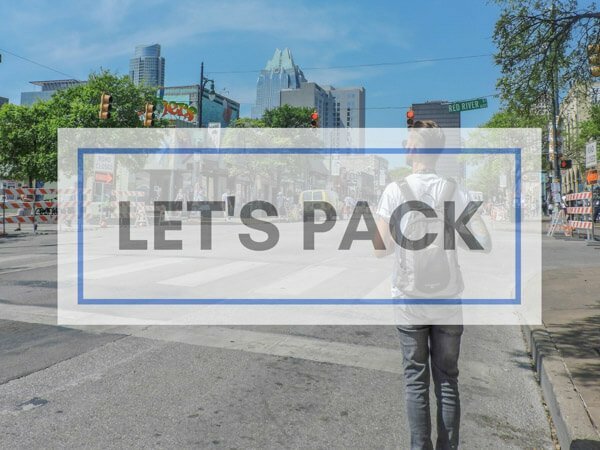 In Austin, Texas too – where I’m heading next!! Yums. Chocolate Bomb?! Sign me up. 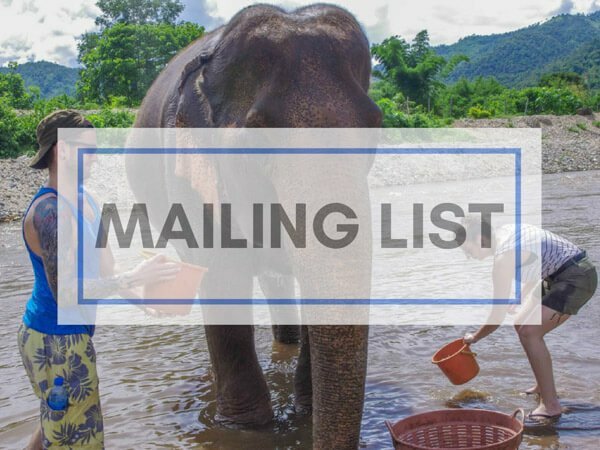 Thanks for reading and sharing your thoughts. I’m still deflating from my trip in September! I have yet to visit The Bottle, but my experience at Cotton Row (Also part of the James Boyce family with Commerce Kitchen and Pane e’Vino) has been exquisite. They raised the bar for restaurants in Huntsville when they first opened on the Square a few years ago. 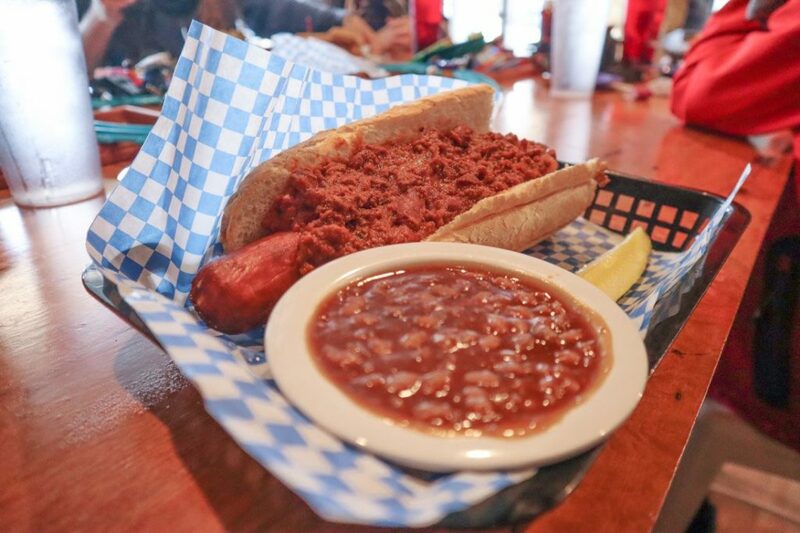 If you ever return to Huntsville, I’d love to take you on a tour of some of our hidden gem barbecue joints. While Gibson’s has its well-earned reputation, we have a number of hole-in-the-wall old-school BBQ joints that are truly next level. I might suggest Melvin’s just up the street from Campus 805, Mary’s Pit out in Maysville and Big Cove BBQ. These places are the real deal, gravel parking, screen door on a spring, sit out under the shade tree on a picnic table kind of places. Then there is the chicken and ribs…. I’d love that! Really enjoyed the city.